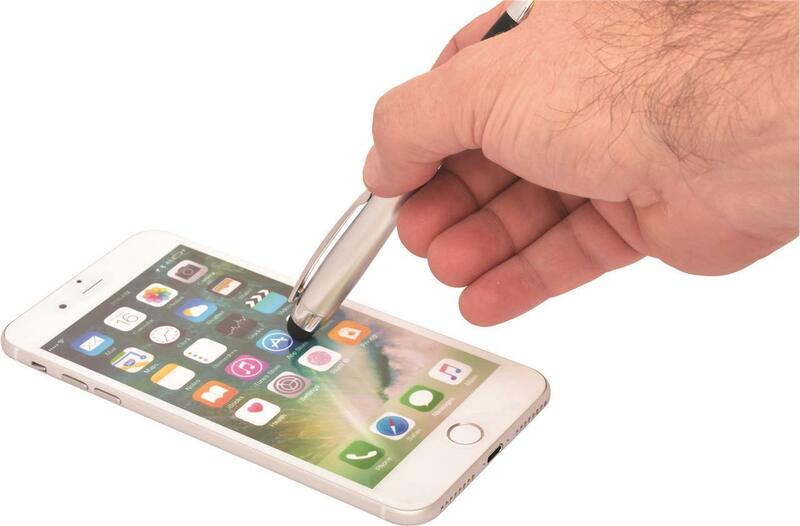 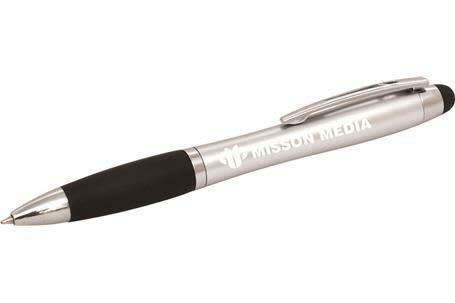 This novel twist action pen features a rubberised grip, chrome plated accents and a useful smart phone and tablet stylus. 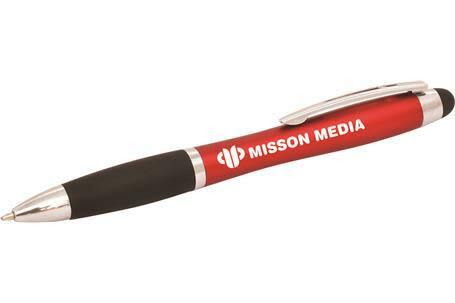 Simply click the stylus and your logo instantly lights up for all to see. 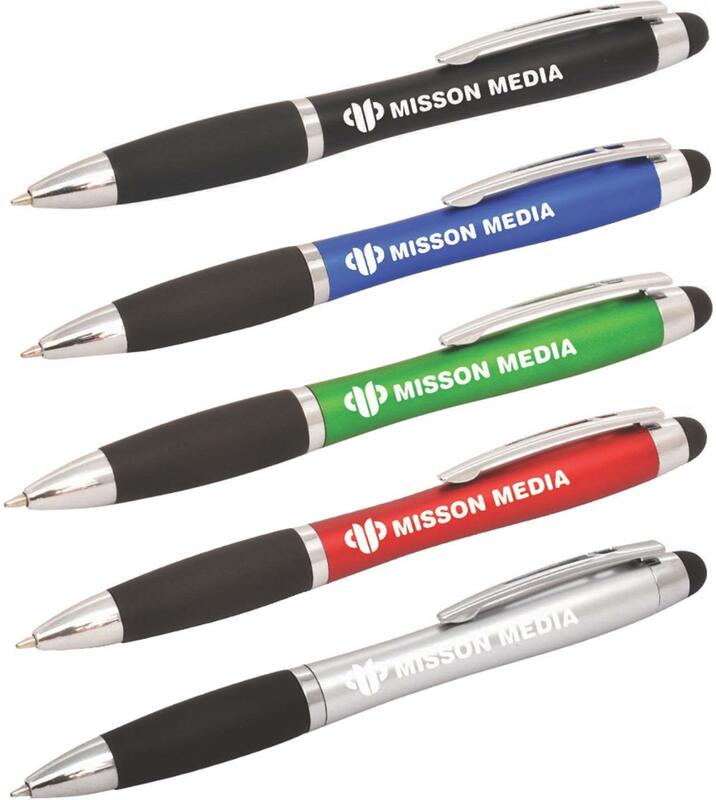 Available in matt blue, matt silver, matt black, matt red or matt green.